The groundbreaking for this new Lakewood Ranch middle school is set this February. This after the Manatee County Commission approved the school’s 124,331-square-foot layout on a site of 20.5 acres just east of the B.D. Gullet Elementary School on 12205 44th Avenue East. It is expected that the new campus will open in August 2019. The design of the campus will accommodate the vehicles dropping off and picking up the school kids so as not to block 44th Avenue traffic, Manatee schools planner Mike Pendley said. This new campus will accommodate 1,048 students and help reduce overcrowding of middle schools in East Manatee as a result of the rapid growth of residential communities in this area. Pendley estimated that 10,000 homes are planned in the new school’s vicinity. For Lakewood Ranch alone, residential growth has been estimated at about 1,000 new homes each year. At this pace, school district officials expect that the new middle school will quickly reach capacity. Notably, the Manatee School District is also expanding Gullett Elementary School, with the addition of a six-classroom wing likewise set for August 2019 opening. Schools Superintendent Diana Greene expects that the district, because of the fast local residential growth, will need to weigh whether to construct new elementary, middle and high schools in the East County or Parrish areas within three years. 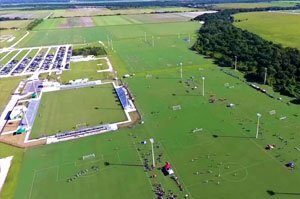 School sites adjacent to the Premier Sports Campus have been offered by Lakewood Ranch developer Schroeder-Manatee Ranch (SMR) under a land swap with the local school district. Under this proposal, the SMR property would be exchanged for a parcel off State Road 64 that the school district owns. The SMR land, if the swap pushes through, could potentially be utilized for another high school and a school from kindergarten through eighth-grade. The school district’s drive to build more schools to meet the rising number of East Manatee and Lakewood Ranch communities could likewise be seen in the construction of the new North River High School in Parrish. Besides B.D. 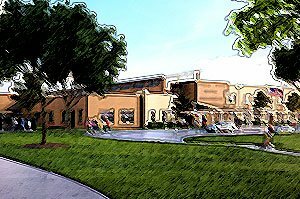 Gullet, the district is also expanding the campuses of Gene Witt and Robert E. Willis elementary schools. The new schools being built and the expansion in some require more teachers and additional funding for their salaries. A referendum thus has been set on March 30 to ask voters to add 1 mill to property taxes (that’s $1 per $1,000 of assessed value) to fund the salaries of new teacher hires. This will fund as well increases on the salaries of current teachers and school staff. If Manatee voters approve the additional mill, the higher property taxes will take effect this July.